Albert Einstein was a renowned theoretical physicist whose contribution to the world of science has gone a long way in defining the pillars of modern physics. His impact on the philosophy of science cannot be doubted, and in 1921, as recognition for his work, he received the Nobel Prize in Theoretical Physics. Besides his great discoveries in physics, Einstein was famous for his trademark walrus mustache and shaggy look that represented his true identity. Although the Father of Modern Physics has been dead for ages, he is still regarded as the most influential physicist of the 20th century. He lived a full life and died under his own terms by choosing to ignore a life-saving surgery. 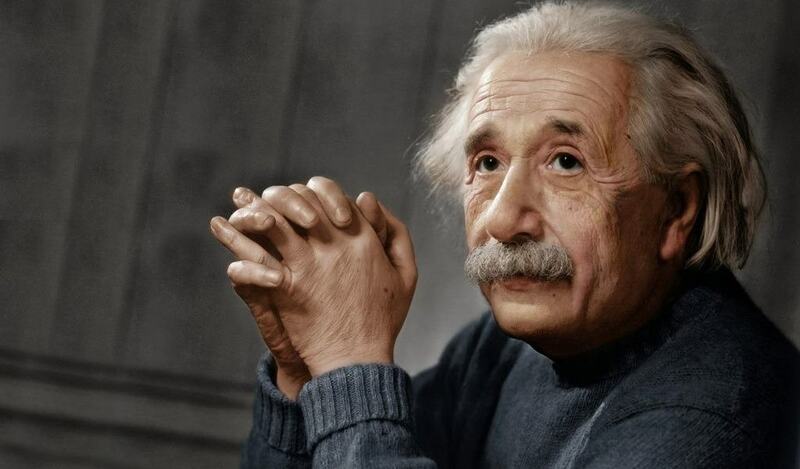 Einstein was raised in Munich, where his Jewish family settled after moving from Ulm, his city of birth. His father, Hermann Einstein was a featherbed salesman, who later opened up an electrochemical factory in Munich. His mother was a homemaker while nothing much is said about his sister Maria (Maja) who was two years younger. Einstein began schooling at the Luitpold Gymnasium where his fascination with music, math, and science began. Nevertheless, his time at school was not the best as he often felt victimized by the restrictive educational system. He left the institution and relocated to Switzerland where he resumed his studies at the Federal Polytechnic School. Einstein later renounced his German citizenship in 1896, obtaining Swiss citizenship in 1901. During his time in Switzerland, he fell in love with Mileva Maric, a fellow student, with whom he begot their first daughter Lieserl. Although his parents were against the relationship, Einstein married Mileva officially and they were blessed with two more kids, Hans Albert and Eduard. Einstein moved to America in 1933 after several encounters with the despotic Nazi regime. He had to flee for political reasons as the regime was non-tolerant to Jews. At the United States, he secured a job as a professor of Theoretical Physics at the University of Princeton. He would later acquire American Citizenship in 1940, retaining his Swiss citizenship as well. It was during his time in the United States that his theoretical formulae E = mc^2 was used to develop the atomic bomb, but he later became a strong proponent of nuclear disarmament, by forming the Emergency Committee of Atomic Scientists. Albert Einstein is celebrated for a number of discoveries in the world of physics. Interestingly, Albert Einstein didn’t have a scruffy beard that was so common among physicists and scientists of his time. Instead, he sported a bushy, somehow meticulous walrus mustache that became an integral part of his identity. His wild hairstyle also played a critical role in highlighting his unique appearance. Legend has it that Einstein’s second wife, Elsa, was the hand behind his distinctive mustache. Apparently, Einstein was an absent-minded genius, and this meant that he was more likely to make grooming mistakes when trimming his facial hair. For this reason, Elsa took it upon herself to trim his ‘stache and his hair. Einstein’s sense of style portrayed someone who was comfortable and not afraid to show off his true self. What is more amazing is that Einstein’s mustache style was all unintentional – he never planned it. 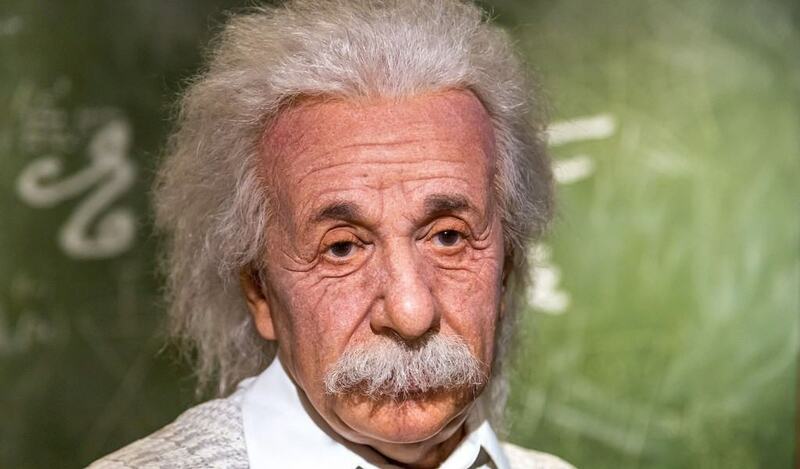 Seemingly, Albert Einstein not only reinvented physics but also started a new mustache trend. Of all the mustache styles available today, the walrus mustache take the most time to grow. You will have to wait for at least three months for your mustache to grow to a reasonable size before styling it to your preferred look. So, if you are planning to attend the next Movember event in your locality, you should start growing your mustache in July or August. Your testosterone levels will definitely play a role in determining the speed and growth rate of your facial hair. However, you can always fasten the process by eating right, drinking plenty of water and using the best beard care products. At some point, you may experience bouts of uncontrollable beard and mustache itching. Cleaning your beard regularly using specialized beard shampoo can make a huge difference in preventing your skin and facial hair from flaking. You should also use natural beard oil such as jojoba oil to condition and moisturize your facial hair. Be sure to check the beard oil ingredients to ensure that the product doesn’t contain harsh chemicals. You will need top beard grooming kit to style and maintain your walrus mustache like Einstein. Firstly, determine how long or wide you want your mustache to be, and then trim off all the other facial hairs that are not part of your mustache. Use a high-quality mustache comb to comb your ‘stache out using downward strokes. The ‘stache should cover your top lip with the ends going down below the corners of your mouth. 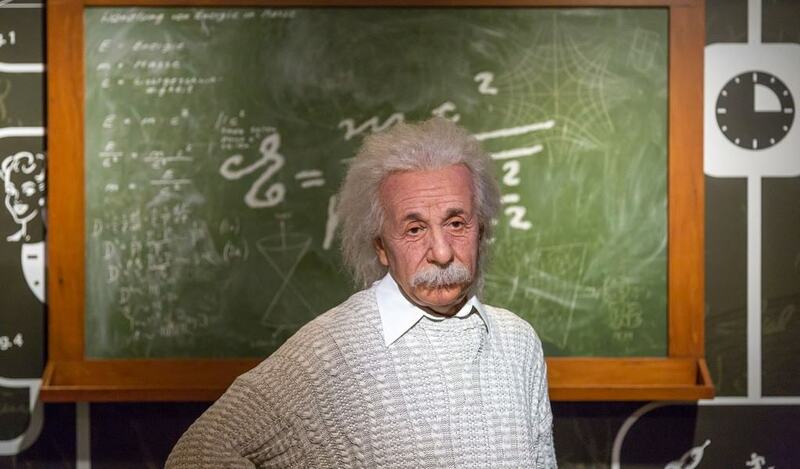 If you want to achieve the exact Einstein look, you may have to leave your hair shaggy. However, this depends on your beard type and facial structure. You may have to learn how to use beard butter for a more stylish look. 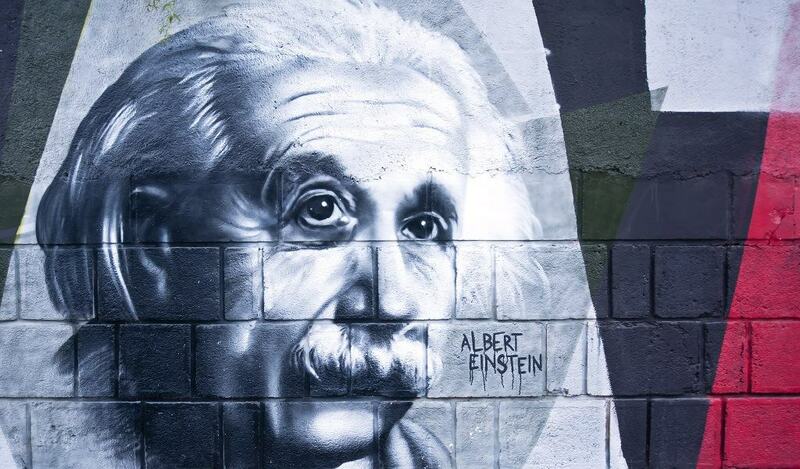 Albert Einstein is one of the world’s most celebrated physicists who made physics look easy. His theories were plain and simple to understand thanks to his vast knowledge of the subject. One time he quipped “If you can’t explain it simply, you don’t understand it well enough,” just to show how much he viewed everything with simplicity. The story of his life has been epitomized in documentary films, movies, and several books. Even in death, his theoretical discoveries are being studied in almost all educational institutions. While Einstein might be gone from our midst, his works, inventions and most of all his walrus mustache remain an integral part of the history. Photos from: superbo / depositphotos.com and © ekinyalgin / 123RF.com.